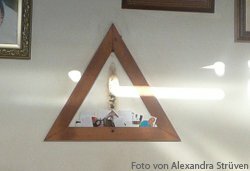 When you visit the Casa de Dom Inácio in Brazil or our Crystal Bed Rooms in Ojai, CA and Wilmington, NC it becomes apparent that the symbol of the triangle is of significance. 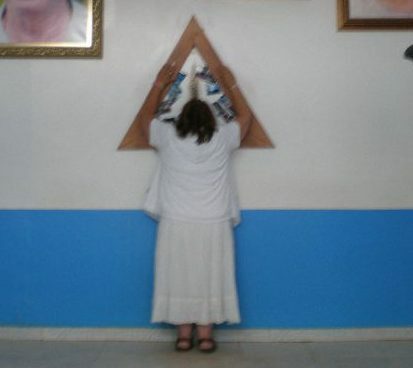 Using Casa Prayer Triangles is an important part of the work at the Casa de Dom Inacio.The triangles are communications portals to the hundreds and even thousands Entities of Light and Love at work at the Casa. Going to the Casa is like entering a “Spiritual Washing Machine.” At the Casa you are supported by The Entities to work through any physical, mental, emotional, and psychic imbalances. Your “Laundry List” will be ongoing. You will be able to add new things and mark off others. This will help you become focused on why you are making this Sacred Journey to The Casa de Dom Inacio, and it will give the Entities of Light permission, to start helping you. By the time you get to the Casa it will be clear for you the top issues you would like to work on while you are there. Healing is a collaboration. Your most important job is to ASK FOR HELP! Recognize and give over to The Entities, “how“ you will heal. By asking for help, having Faith and cultivating Love you are doing your part. 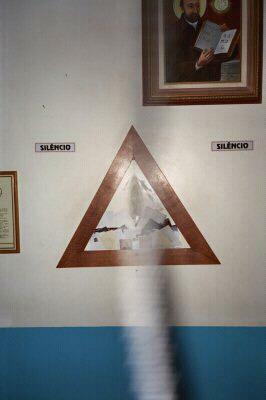 Your healing experience and spiritual development, will continue long after you leave The Casa. The best way to continue your connection with The Work, is to keep asking for help.